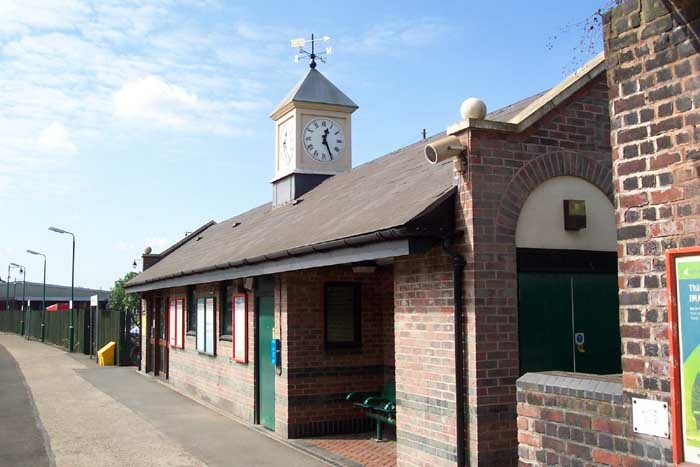 Langley Green Station opened in 1885 under the GWR on the line from Old Hill up to the GWR main line from Snow Hill to Wolverhampton. 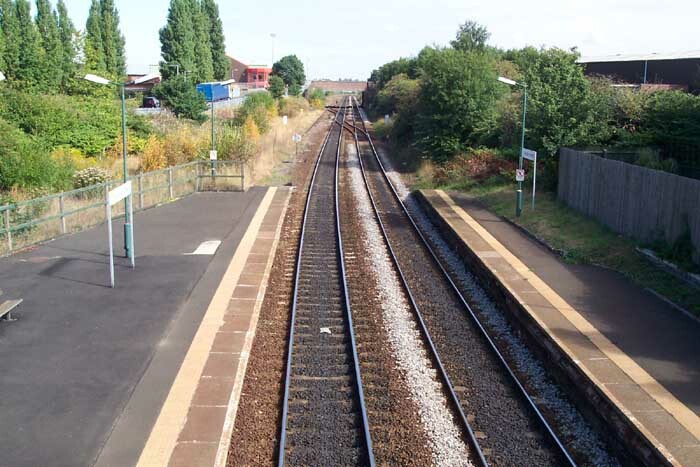 The present site, as the station has moved along the line, also served a GWR branch line to Oldbury which had a station at its terminus operational between 1885 and 1916 (not to be confused with the LNWR main line Oldbury Station which is now known as Sandwell and Dudley). 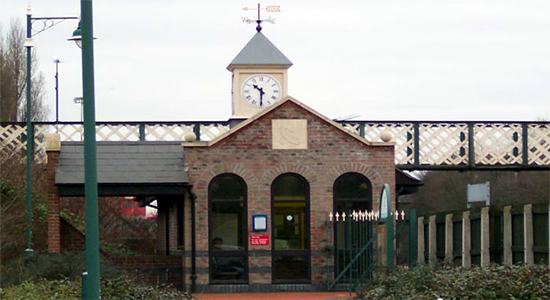 The above photograph shows the entrance to the station from the car park off Western Road. This rather ornate building sits on the Birmingham platform. Above-left we are on the Birmingham platform looking back at the station towards Rowley Regis with its impressive footbridge - not discernible from this shot is the level crossing which sits just beyond the platform's end in this perspective. Above-right we are on the footbridge looking towards Smethwick Galton Bridge - at the end of the Birmingham platform on the left you can just make out the branch off the main lines to the old GWR Oldbury station passing behind the fence on the extreme left. 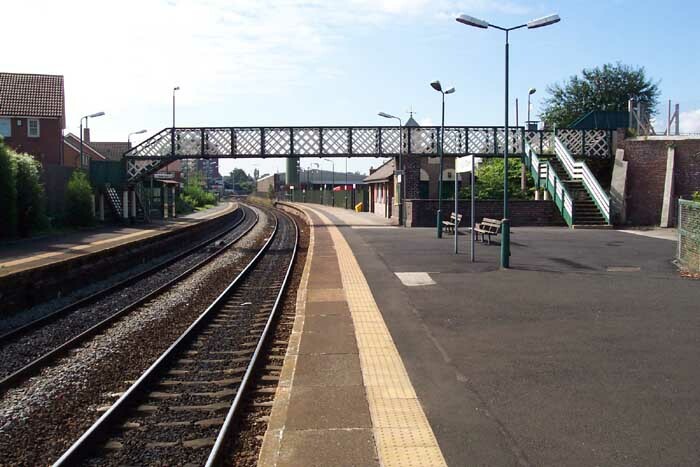 There used to be a large signal box on the end of the platform controlling the junction and sidings ahead - the Oldbury line served the nearby Albright & Wilson chemical factory well into the 1990s. Above-left is the station building on the Birmingham platform - I thought it deserving of its own photograph as it is a surprisingly ornate structure. 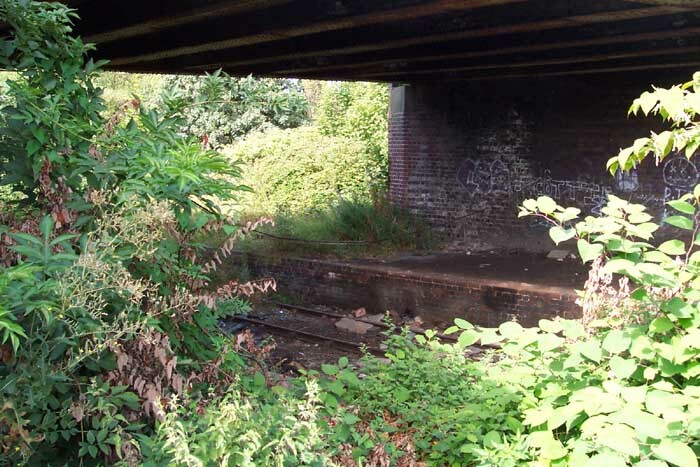 Above-right we are on the Birmingham platform looking at the Oldbury Branch curving away from the station under Western Road - the trackbed and platforms appear in tact (albeit showing some signs of age in the case of the latter). 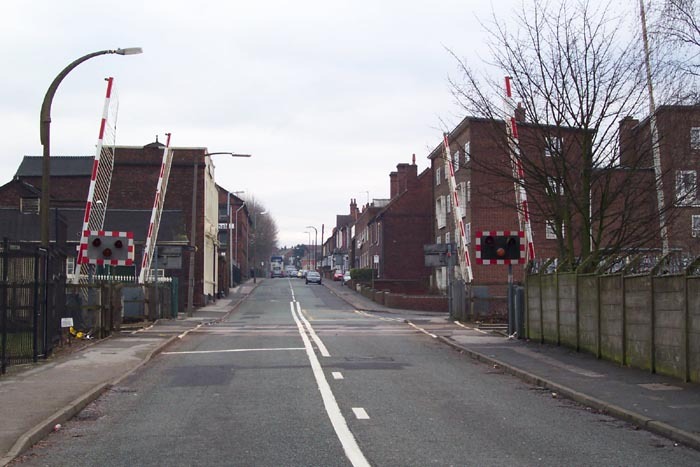 Above-left we are on the level crossing just South of the station on Station Road: this road is named Station Road, when it is not directly leading to the station, due to the fact that the original incarnation of Langley Green station was behind the photographer in this perspective. The distinctive footbridge can clearly be seen as we look towards Birmingham. 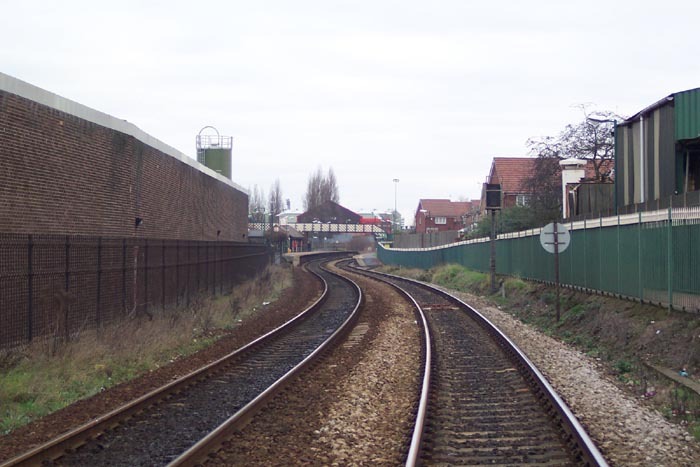 Above-right we have stepped back onto Station Road to take a better look at the level crossing itself - the station site is to the left (and old station site to the right) in this view.